Originally, guppy fishes live on brackish water marsh. This fishes are categorized to livebearer fishes because it breeds by giving birth, so the cultivation of guppy is relatively easy. Unfortunately, many people can’t tell the difference between male and female guppy right after they see it. 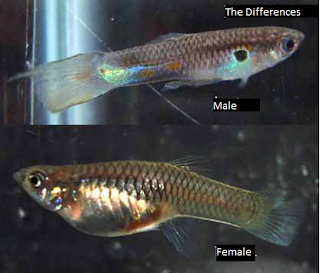 Hopefully, this will helps you to tell the differences between male and female guppy.